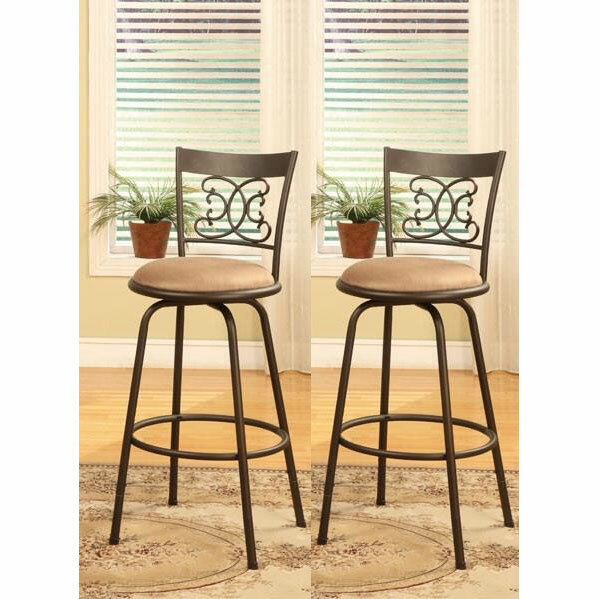 Swivel Bar Stools with Backs – What is next in your list? Speaking about home improvement project, there is no end about it because the idea will keep coming. It is as if we could not be satisfied with every job we have done to our home. Building an open kitchen can be a great plan. Why open kitchen? Open kitchen represents modern home, which space, comfort, and functionality become its main focuses. Swivel bar stools with backs as one of the most sought out types of bar stool can be great option when searching for seat for your open kitchen. Where should we go to find this type of bar stool? If you had a plan to update your kitchen, and now need to find the bar stool to complete your project, then you should finish this article. We have compiled few examples of comfortable bar stools available in the market for you. Ecco Adjustable Height Swivel Stool – it is the first bar stool that makes our list. The reason why we include this stool is because it has everything needed to be in our open kitchen. It can bring in elegant touch to your kitchen, while completing the contemporary design of your kitchen. This model’s total dimension is 32-42 inches high x 19 inches wide x 20 inches deep, and stands heigh in 32-42 inches to the top of the back/22-32 inches to the top of the seat. This adjustable stool comes with few different color options. If you were interested with this bar stool, you can check for more detail information at the Overstock. Bronze Finish Scroll Back Adjustable Metal Swivel Counter Height Bar Stools – here is one of recommended swivel bar stools with backs displayed at the Overstock. 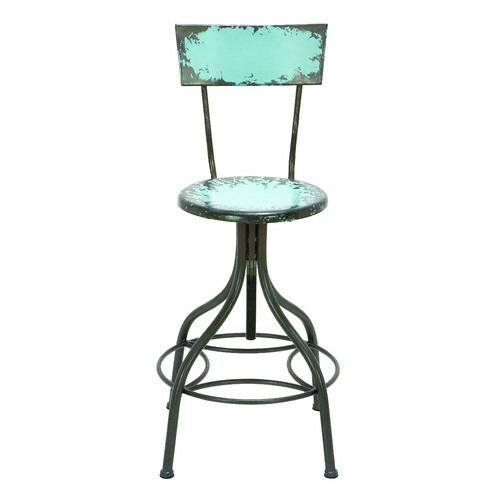 Standing in 24 inches (counter height) or 29 inches (bar stool height), this classy looking bar stool can make your kitchen be the center of your home. This model is a perfect option for those looking for stool with extra support for the back. For the aesthetical aspect, it offers scrolled metalwork ornament at its backrest. Woodland Imports‘ Old Look Adjustable Height Bar Stool – the first two stools offer contemporary look, this one is the counterpart of them. As the name implies, it is an old looking stool. This one still has its own beauty despite boasting the old look. This model has been completed with adjustable seat height and comfort footrest that can make your dinner more enjoyable. Its total dimension is 41 inches high x 18 inches wide x 18 inches deep. Visit the Wayfair to see more completed information of this Old Look Adjustable Height Bar Stool. 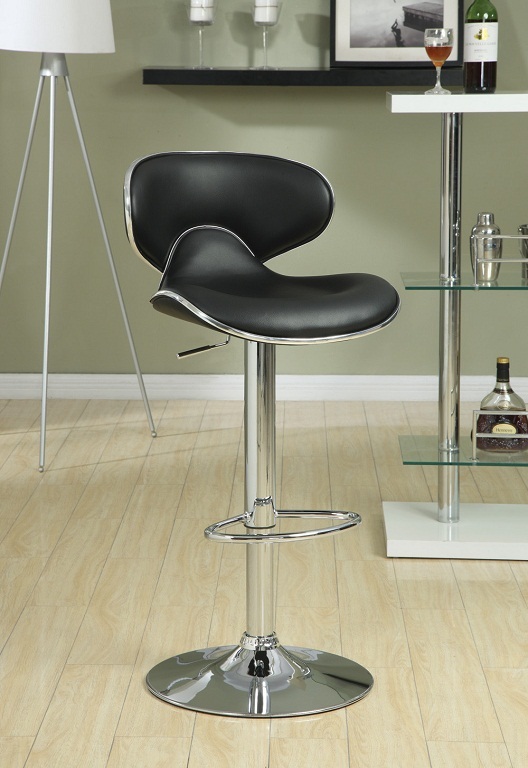 Wildon Home’s Adjustable Height Swivel Bar Stool – here is the last model in our list. This one looks simple, but is still so appealing. Completed with height adjustable feature, this one can easily complete your contemporary kitchen. This one is displayed at the Wayfair. 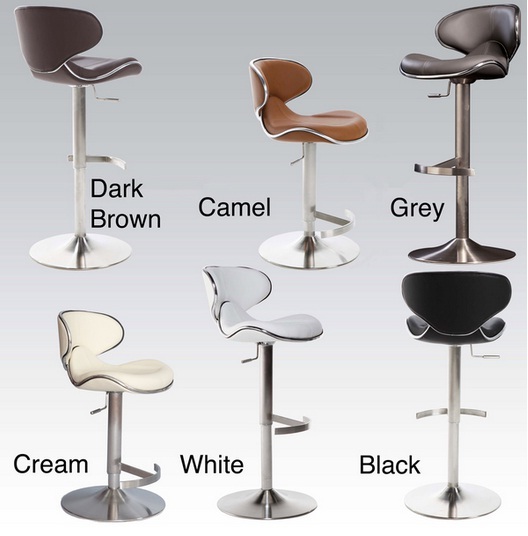 So, which one of the swivel bar stools with backs mentioned above that meets your taste and requirement? Visit the website where they are displayed, and then you can read more detail information of them there.